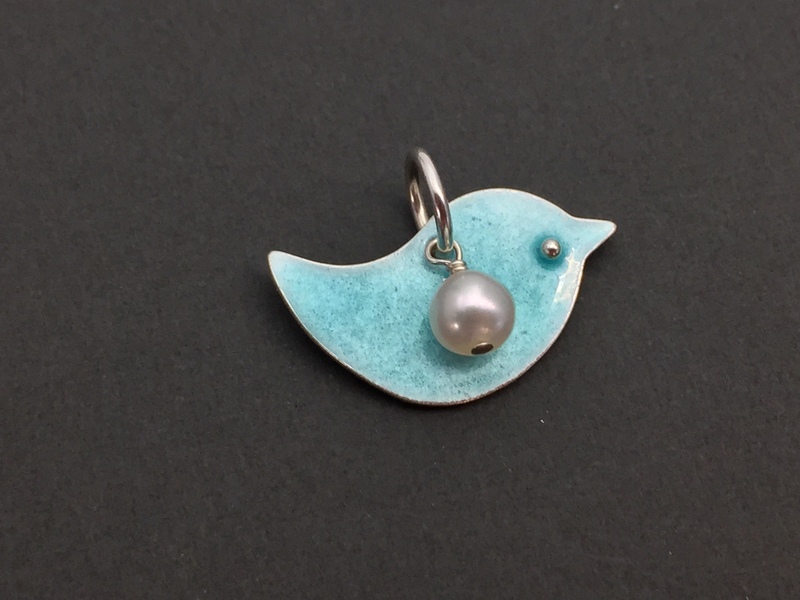 Join me for this 1 hour workshop where you will leave with an adorable silver and enamel “Fly” bird charm. Choose your favorite color from 4 different shades of blue enamel. Chains are not included but can be purchased in the style/length of choice at the event. Suitable for ages 12 and up. Wear comfortable clothing and closed toes shoes. Arrive 5 minutes ahead of time to get settled before the class starts. Bring reading glasses or magnifier glasses if you usually use them.